LCP has been recognised for its retail excellence in Poland after scooping a prestigious award for one of its shopping centres. 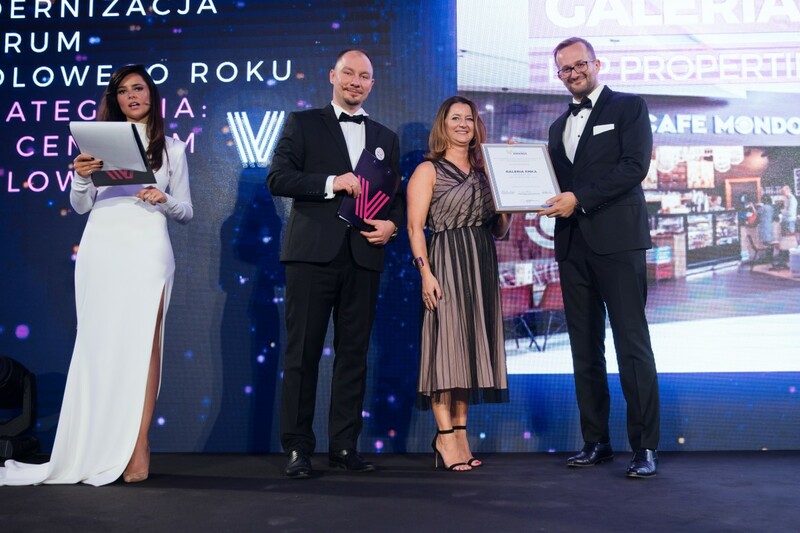 It was awarded in Modernisation, Reconstruction, Expansion Shopping Centre of the Year category in the ninth PRCH Retail Awards Gala, organised by the Polish Chamber of Shopping Centres, for EMKA Gallery in Koszalin, on the Baltic coast. LCP, which has retail and industrial holdings worth €250 million in Poland, has invested €8.7 million in the centre, modernising its public areas and installing new ceilings, floors, shop windows, lights, and sprinklers. It has also introduced new retailers, improved the “family” offering and created a “food on the beach” themed food court. EMKA Gallery has almost 100 shops, commercial premises and restaurants, featuring both global and well-known Polish brands, including H&M, Deichmann and Vision Express. RCH Retail Awards, one of the most prestigious retail awards in Poland, is an annual contest for the wider retail industry, aimed at retail chains, developers, investors and centre managers.